The Virginia Derby at Colonial Downs | Night and Day | Style Weekly - Richmond, VA local news, arts, and events. 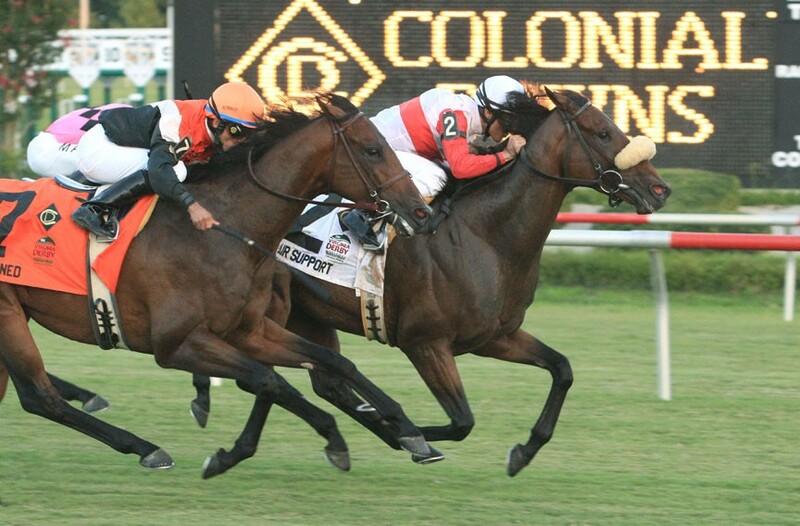 Top turf horses, jockeys and trainers compete for $600,000 in prizes in the Virginia Derby, the state’s richest horse race. Fancy-hat-wearing people can be found celebrating trackside with barbecue and live music from the Honky Tonk Heroes. The hatless hoi polloi may prefer the bring-your-own-bottle Hoot on the Hill party featuring Three Sheets to the Wind, Hooters girls and trackside tailgating options. The Virginia Derby night takes place at Colonial Downs on Saturday, July 21, from 4-11 p.m. General admission is $5-$15. Party options are $10-$50. colonialdowns.com.